I remember one of my favorite memories in middle school was taking a field trip to a place called Enterprise Village where we were assigned a job and salary and we simulated adult financial responsibilities like paying mortgages and buying cars. Beyond that though, financial education wasn’t necessarily a big part of my upbringing (and my financial flippancy today is a result of that). 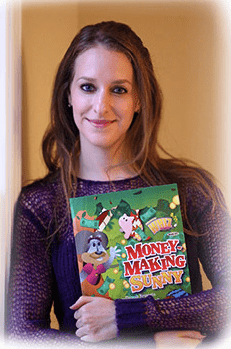 Darrah Brustein, founder of Finance Whiz Kids, wants to change that by creatively teaching kids about the value of money. We caught up with Darrah to talk about finance for kids, startup inspiration, relieving stress, and being a global citizen. I was a kid who created things to sell out of the sun room of our home. It was an instinct. As I grew older, that desire never left but after working for other people, I grew more and more enamored of the idea of having the freedom to make decisions for myself and to know that win or lose, it was on me. Describe the moment when you realized you had to pursue your entrepreneurial dreams? The desire to be an entrepreneur always existed. I just didn’t know what type of business I’d want to start. After several lay-offs in a couple years post-grad, it was time. I realized that there was no “security” in working for someone else any more than there was “security” in working for myself. What inspired your current startup, and what makes it so killer? 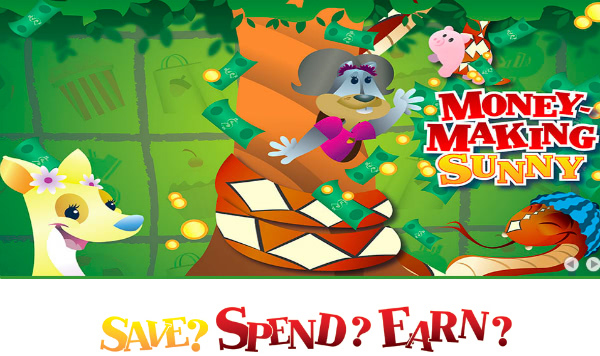 I was inspired to create tools for parents to teach young kids about money because it was a glaring need. You don’t need to strain yourself to recognize that people worldwide are lacking basic financial literacy skills. I fully believe that if we teach kids when they’re forming habits how to do things the right way, then you won’t have to break negative habits later. There are currently very few similar resources available, so it’s more about educating people that this exists than being concerned with competitors. How has work on your current project been different from other projects you’ve been involved with? I co-own another company called Equitable Payments with my twin brother. It is in the credit card processing space (which is as competitive as it gets). This is also significantly less of a creative role in this position. Being able to write stories, collaborate with designers on the images, and work to make a long-lasting positive impact on the habits of kids are all factors that make this role different! My greatest satisfaction is hearing from parents that they saw a light bulb go off in their kids heads when they read my book together. They often send me videos or emails saying that their child was struck by the concept that responsibility and money go together and that opened a dialogue for them. That I was taken seriously… I’m only half kidding. You hear it all the time that you shouldn’t be afraid to fail. But, when I finally got over the fear of the judgment that comes from others when you seemingly “fail” and realized that if you don’t go for it at all, that’s the real failure. Try, just go for it! And when you start going, be sure to focus on that which you are best, and delegate the rest. I’m inspired by other people who have overcome huge hurdles, perceived failures, and loss and made it back on top. We all know the famous ones, but especially the ones who are lesser known and making their dreams come true. More so, those who are doing this AND creating a product or service that helps other people. Greatest thing is when you tap into that part of yourself that feels fulfilled and like you’re doing what you were meant to do. The most challenging thing is that you never just leave work at work. It’s always with you and that can drive you nuts sometimes. I’m finding ways to shut down and tune it out for certain periods of time, but it’s a constant battle. I’ve gotten into yoga and try to do other activities like cooking, traveling, hanging out with friends, and reading to remind myself that there is more to life than business. I would have said Julie Clark who founded and successfully sold Baby Einstein, but I recently had the great privilege of speaking with her so I suppose I should choose someone whom I’ve never met. In that case, it would be a tie between Oprah, whom I’ve always admired and would even be playfully mocked for loving when I was so young. The second is Bethenny Frankel because she is a prime example of a woman finding success in today’s reality tv/social media culture. I really admire her. As for what we’d eat, well I’d certainly let them decide! We’d clearly be drinking a Skinny Girl cocktail with Bethenny. Has being an entrepreneur affected your personal life? Of course. On the one hand, it takes time away from being with friends as often as I’d like. On the other hand, it’s gifted me with knowing so many wonderful people in business whom I may otherwise never have known. More so, I was able to start my own social and professional networking event (Atlanta Under 40) so that has allowed me to merge business and social endeavors. Being a business owner really reminds you how interconnected we are and how similar our challenges are all over the world. 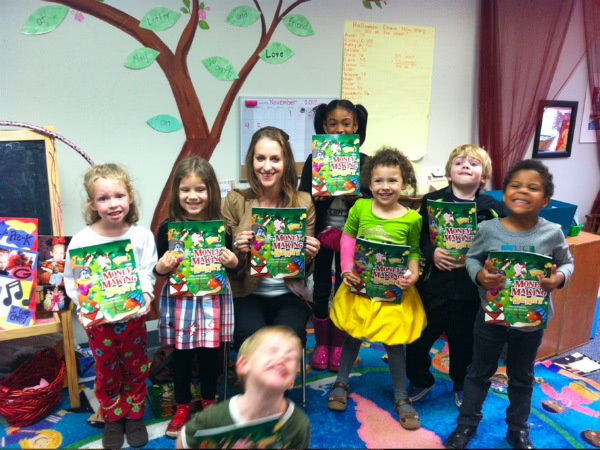 It’s enriched my awareness of being a global citizen, not just a person at a desk in Atlanta. I’m based in Atlanta after migrating South for college and getting spoiled by the ease of life here. The startup scene is huge, particularly for those in tech. It’s a great nurturing environment! A lot of the entrepreneurs we talk with have dreams of traveling. Is travel something that interests you? Where would you like to travel to? I love to travel and aim to do so once a month which I’ve been able to accomplish successfully for the last couple years. I think travel is a marker of freedom and in some cases wealth/success so perhaps that’s why people strive to do it. I think that you have to do the things you want to do now and not wait for some “perfect time” to come, because there is no such thing. Thanks to technology, we can work and travel now if we want, or shut down and pass the baton to someone else while we travel. But getting out and be reminded that there is more to life than your bubble is important. Thanks Darrah! I kind of wish I had something like Finance Whiz Kids around when I was a kid. Dying of dysentery on the Oregon Trail was not exactly a lesson applicable in my adult life.